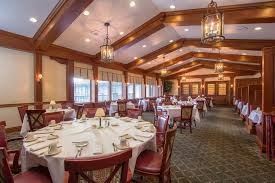 Greeley Country Club is the perfect venue for any event. Available for rental by members and non-members, the club is conveniently located in the heart of Greeley. Originally built in 1920, Greeley Country Club is full of rich history and home to many great events. With so many diverse spaces at the Club, it can be used for an intimate dinner party, corporate meeting or event, or a large wedding ceremony and/or reception. There is simply no place like it in Northern Colorado for your special event or wedding. - Veranda Ceremony Package - $1000 • One Hour Rehearsal the Night Before the Wedding • Rental of the Veranda For the Day of the Wedding • Ceremony Seating with White Chairs & Center Aisle • Setup & Tear down by the GCC Staff • Bride & Groom Dressing Areas in our Wonderfully Appointed Locker Rooms is also included. - Indoor Ceremony - $1000 - Golf Course Ceremony - $1500 Please review our attachment for complete package details. Buffet lunch package is available for events ending by 4 pm. All selections include warm rolls with butter, Iced tea, water, coffee, tea service. Mount Elbert Buffet - starting from $24 per person • Salads - choose two • Entrée - choose two - starting from $24 per person • Includes Dinner Rolls, Whipped Butter, Chef’s Choice of Seasonal Starch and Vegetable Please review our attachment for complete menu details and rates. All Food & Beverage Pricing is Subject to 20% Service Charge & 6.36% Sales Tax. Silver package - 5 Hour Wedding Reception includes: • Ballroom Rental for your Reception • Bride & Groom Dressing Rooms on the Day of the Event • White Table Linens & Napkins • Silver, Glass & China Wares • GCC Signature Center Pieces • Head Table 0r Sweetheart Table • Champagne &/or Sparkling Cider Toast • Cake Cutting Service • Dance Floor • Coffee Service • Chef’s Wedding Tasting for 2 • Special Children’s Menus At Discounted Rate (Age 12 & Under) • Complimentary Parking for All Guests • Choice of one soup, salad or appetizer • Chef’s seasonal vegetable and starch of the day • Starters • Warm rolls with butter, Iced tea, water, coffee, tea service • Entrée Selection - choice of two - starting from $25 per person Please review our attachment for complete package details and menu selections. The package includes: • Caesar salad - crisp romaine, croutons, tomatoes & Parmesan • Baked garlic bread & rolls • Herbed vegetable medley • Selection of one meat item • Selection of two pasta items • Selection of dessert Please review our attachment for more options. All food & beverage pricing is subject to 18% service charge & 6.36% sales tax. The package includes: • Ballroom rental for your reception • Bride & groom dressing rooms • White table linens, napkins & center pieces • Head table or sweetheart table • Champagne &/or sparkling cider toast	• Dance floor & coffee service • Special children’s menus at discounted & your choice of meal • 5 hour wedding reception Please review our attachment for more options. All selections includes Warm rolls with butter, Iced tea, water, coffee, tea service. Longs Peak Package - starting from $28 per person • Choice of one soup, salad or appetizer • Chef’s seasonal vegetable and starch of the day • Starters • Entrees - starting from $28 per person Please review our attachment for complete menu selections and rates. All menus include Warm rolls with butter, Iced tea, water, coffee, tea service. - Mount Evans Package - starting from $30 per person • Caesar Salad - Crisp Romaine, Croutons, Tomatoes & Parmesan • Baked Garlic Bread & Rolls • Herbed Vegetable Medley • Meat - choose one • Pasta - choose two - Mount Bierstadt Package - starting from $31 per person Please review our attachment for complete menu details and rates. Gold Package - 6 Hour Wedding Reception includes: • Ballroom Rental for your Reception • Bride & Groom Dressing Rooms on the Day of the Event • White Table Linens & Napkins • Silver, Glass & China Wares • GCC Signature Center Pieces • Head Table 0r Sweetheart Table • Champagne &/or Sparkling Cider Toast • Cake Cutting Service • Dance Floor • Coffee Service • 6 Hour Reception • Champagne/Beer in Dressing Rooms for bridal parties • Chair Covers & Sashes OR Table Runners • Chef’s Wedding Tasting for 4 • Special Children’s Menus At Discounted Rate (Age 12 & Under) • Complimentary Parking for All Guests • Choice of one soup, salad or appetizer • Chef’s seasonal vegetable and starch of the day • Starters • Warm rolls with butter, Iced tea, water, coffee, tea service • Entrée Selection - choice of two - starting from $32 per person Please review our attachment for complete package details and menu selections. The package includes: • Ballroom rental for your reception & bridal parties • Bride & groom dressing rooms • White table linens, napkins & center pieces • Champagne/beer in dressing rooms • Chef’s wedding tasting for 4 • Dance floor & coffee service • Special children’s menus at discounted & your choice of meal • 6 hour wedding reception Please review our attachment for more options. Platinum package - 6 Hour Wedding Reception includes: • Ballroom Rental for your Reception • Bride & Groom Dressing Rooms on the Day of the Event • White Table Linens & Napkins • Silver, Glass & China Wares • GCC Signature Center Pieces • Head Table 0r Sweetheart Table • Champagne &/or Sparkling Cider Toast • Cake Cutting Service • Dance Floor • Table Runners • Table Overlays • Chavari Chairs • Custom Up-lighting Package • Custom Ice Sculpture • Round of Golf for 8 with carts • Coffee Service • Chef’s Wedding Tasting for 2 • Special Children’s Menus At Discounted Rate (Age 12 & Under) • Complimentary Parking for All Guests • Choice of one soup, salad or appetizer • Chef’s seasonal vegetable and starch of the day • Starters • Warm rolls with butter, Iced tea, water, coffee, tea service • Entrée Selection - choice of two - starting from $44 per person Please review our attachment for complete package details and menu selections. The package includes: • Ballroom rental for your reception & bridal parties • Bride & groom dressing rooms • White table linens, napkins & center pieces • Champagne/beer in dressing rooms • Table runners ,table overlays and chavari chairs • Custom up-lighting package & custom ice sculpture • Round of golf for 8 with carts • Chef’s wedding tasting for 4 • 6 hour wedding reception Please review our attachment for more options.